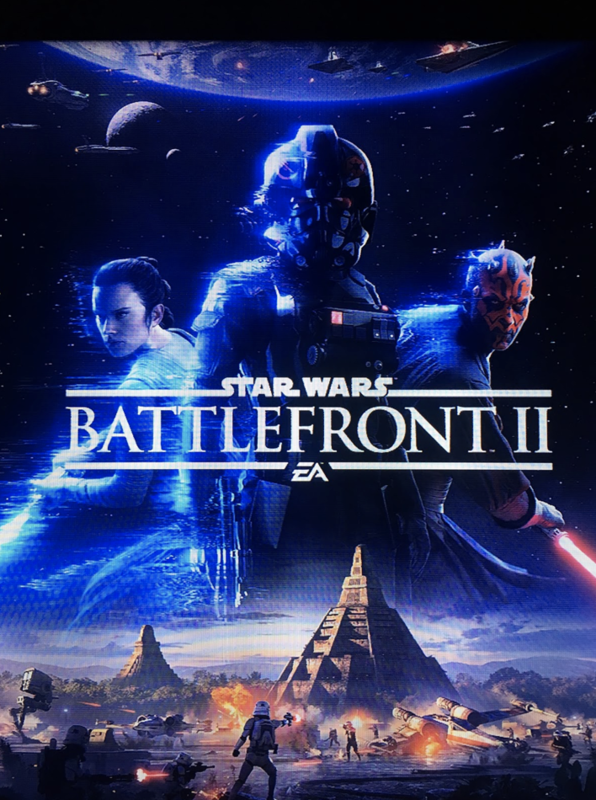 Star Wars Battlefront II launched in November with 60 percent fewer sales in comparison to Battlefront I. Despite giving players the content they complained was missing in Battlefront I (a single player campaign), EA Sports, the Maitland-based company that produces the game, has found great controversy with some of the additions to Battlefront II. New to Battlefront II are “loot boxes” that give players random “star cards” that enable them to customize their character and to make them stronger in multiplayer game modes. When EA Sports announced the addition of loot boxes, it also said the boxes could be purchased in a variety of ways. Currently, loot boxes can be purchased with credits or crystals, the in-game currency earned in gameplay. Originally, EA Sports was going to allow players to purchase crystals with real money, encouraging players to “pay to win and pressure them to spend additional cash,” according to an article by Kotaku, a gamer’s guide. Kotaku also compared players spending real money on the randomness of loot boxes to gambling. The loot boxes contain four different rarities of star cards, “epic” being the most powerful. With cash being an accepted form of payment, a player could buy a bunch of loot boxes to strengthen their character without ever even playing the game. In response to its angry fan base, on Oct. 12, EA Sports announced that epic level star cards will not be in any loot boxes. This would mark the first of many changes that EA made to Battlefront II to please its fans. On Nov. 9, Battlefront II became available in a pre-release trial period for subscribers to EA access. More problems were discovered concerning the currency in the game. Players were upset when they discovered some main characters from Star Wars such as Luke Skywalker, Princess Leia and Darth Vader were locked at the beginning of the game. Players had to use credits to unlock each character. In an interview with Kyle McCann, a 20-year-old student at UCF, he explained why he likes that characters start locked. “I feel like the point of playing games is to earn your upgrades to make your characters better,” McCann explained. He did admit to having a problem with the way characters are unlocked. McCann said the characters should be unlocked once you reach certain levels. “I believe it would create a stronger meaning to continue playing the game if you had to get to a certain level to unlock characters like Luke and Vader,” he said. The most famous characters, Luke Skywalker and Darth Vader, were originally listed at 60,000 credits. Players on Reddit estimated that it takes nearly two full days (48 hours) to earn 60,000 credits. However, a random number of credits is received in each loot box. This made fans start to believe that developers made the characters so expensive to urge them to spend more money on the game. A representative of EA responded to the complaints on Reddit. His statement became the most disliked comment in Reddit history. Shortly after the statement on Reddit, EA lowered the cost of most characters. Luke Skywalker and Darth Vader remained the most expensive, but were now only 15,000 credits. Microtransactions allow users to purchase virtual goods via micropayments. They are often used in free games to provide a revenue source for the developers. Microtransactions are expected to be added to Battlefront II in a future update, but, for now, real cash will not be accepted.